Infrastructure are increasingly being recognized as too rigid to quickly adapt to a changing climate and a non-stationary future. This rigidness poses risks to infrastructure service delivery and public welfare. 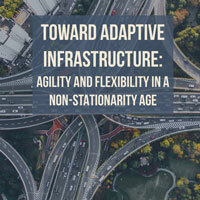 Adaptivity in infrastructure is critical for managing uncertainties to continue providing services, yet little is known about how infrastructure can be made more agile and flexible for improved adaptive capacity. A literature review identified approximately fifty examples of novel infrastructure and technologies which support adaptivity through one or more of ten theoretical characteristics of adaptive infrastructure. From these examples, several infrastructure forms and possible strategies for adaptivity emerged, including smart technologies, combined centralized/decentralized organizational structures, and renewable electricity generation. With institutional and cultural support, such novel structures and systems have the potential to transform infrastructure provision and management. For centuries man-made infrastructure has been viewed as separate from natural systems. Yet in the past few centuries, as the scale and scope of human activities has dramatically increased, there is accumulating evidence that natural systems are becoming increasingly, and in some cases entirely managed by humans. The dichotomy between infrastructure and the environment is narrowing, and natural systems are increasingly becoming human design spaces. This is already apparent with the management of hydrologic systems for urban water supply, wildlife, agriculture, forests and even the atmosphere, and we can expect management of the environment to become more so as human activities grow. Yet our infrastructure largely remain obdurate. They are designed to last for long times even as changes in the environment and technology accelerate. As such, our current infrastructure paradigms fail at the level of the complex, integrated systems and behaviors that characterize the anthropogenic Earth. Infrastructure in the future will need to be designed for adaptive capacity and the complexities associated with techno-environmental systems. Hot, semi-arid cities in the American Southwest are on the front line of stressed water resources, urban heat islands, and population growth, and are projected to be increasingly burdened by anthropogenic climate change. Some have portrayed these challenges as insurmountable. We propose an alternative hypothesis: southwestern cities are testbeds for developing adaptation and mitigation strategies that cities with less extreme climates may need before the turn of the next century. Here we highlight some initiatives, plans, and needs of local governments, universities, and businesses to inform a more complete narrative of how southwestern cities are addressing livability and sustainability challenges. As human enterprises accelerate through the twenty-first century, the infrastructures that support all kind of activities, and are the backbone of development, are becoming ever more tightly linked to our progress. The term infrastructure is often used loosely and can have different meanings but in general refers to the physical structures and corresponding institutional arrangements that enable human activity. More broadly, they are the designed and built set of technological systems that mediate between humans, their communities, and their broader environment, enabling human capabilities. In policy and practice, infrastructures are often discussed in terms of the physical assets that provide and enable services: power generation facilities, water treatment plants, roads, schools, hospitals, among others. The significance of reliable infrastructures has become apparent. Investments in infrastructures feed through to economic growth and access to infrastructure services is positively related to a number of well-being measures. Developing countries often look to countries with mature infrastructures as models of how they should be deploying infrastructure into the future. But hard questions remain as to the impacts of infrastructure investments on progress. There is little knowledge of how much parking infrastructure exists in cities despite mounting evidence that abundant and underpriced parking creates economic, environmental, and social problems. Urban parking requirements are very precise and routinely enforced despite the fact that most cities have little to no knowledge about their own parking supply. To further explore these issues, a parking inventory for metropolitan Phoenix, Arizona, USA is developed by cross-referencing geospatial cadastral and roadway data with minimum parking requirements. Metropolitan Phoenix is chosen because it is relatively young, rapidly growing, highly sprawled, and car dependent. Historical growth of parking is also estimated by linking year of property development to required off-street and nearby on-street parking spaces. As of 2017, we estimate that there are 12.2 million parking spaces in the metropolitan region with 4.04 million inhabitants, 2.81 million registered personal vehicles, and 1.84 million jobs. Growth of parking in metro Phoenix has also been significant; since 1960, 10.9 million spaces have been added to the region compared to a population growth of 3.41 million, vehicle fleet growth of 2.63 million, and employment growth of 1.56 million. Since the 2008 recession, parking growth in metro Phoenix has significantly slowed, but continued urban growth combined with substantial minimum parking requirements may promote more parking infrastructure than is needed. Planners and policy makers should value quantifying the growth and supply of parking in urban areas and consider reforming parking standards to promote consistent and unambiguous pathways to sustainable urban growth. Heat waves have posed serious challenges to electricity infrastructure, including a major blackout in Southern California in 2011 and emergency curtailment in 2014. Understanding how future temperature change might impact future electric power systems is critically important to ensure the future operational reliability. Using existing spatial projections of peak hour electricity demand for Los Angeles County (LAC)—with consideration for rising air temperatures under RCP 4.5 and RCP 8.5 at 2 square km grid cell resolution, two population growth scenarios, new residential and commercial buildings, higher air conditioner (AC) penetration, and improved AC efficiency—we estimated vulnerabilities in the LAC’s electricity infrastructure to 2060. Results were that generators, substations, and transmission lines, except those near the Santa Monica Beach, could lose 2—20% of safe operating capacity due to air temperatures above 40°C (104°F). We further allocated spatial forecasts of peak demand to substations—using a Voronoi polygon method and the components’ de-rated capacities during heat waves—and identified where and by how much substations could exceed thermal limits and be automatically tripped by protection gear. Based on recent historical load factors for substations in the Southern California Edison service territory, an additional 848—6,724 MW (4-32%) of delivery system capacity will be needed by 2060 to maintain reliable operations, not including the Los Angeles Department of Water and Power (~1/3 of the county). Some of that system capacity may be met more cost-effectively by investment in distributed energy resources than in new central generation plants and/or substations and/or transmission lines. If increases in peak load cannot be mitigated and/or additional infrastructure capacity cannot be added in the corresponding locations, then LAC’s electricity infrastructure will be vulnerable to outages and cascading failures during heat waves. The long-term reliability and functioning of the transportation system will increasingly need to consider and plan for climate change and extreme weather events. Transportation systems have largely been designed and operated for historical climate conditions that are now frequently exceeded. Emerging knowledge of how to plan for climate change largely embraces risk-based thinking favoring more robust infrastructure designs. However, there remain questions about whether this approach is sufficient given the uncertainty and non-stationarity of the climate, and many other driving factors affecting transportation systems (e.g., funding, rapid technological change, population and utilization shifts, etc.). This paper examines existing research and knowledge related to the vulnerability of the transportation system to climate change and extreme weather events and finds that there are both direct and indirect “pathways of disruption.” Direct pathways of disruption consist of both abrupt impacts to physical infrastructure and impacts on non-physical factors such as human health, behavior, and decision making. Similarly, indirect pathways of disruption result from interconnectedness with other critical infrastructure and social systems. Currently, the direct pathways appear to receive considerably more focus and assessment than the indirect pathways, and the predominant approach for addressing these pathways of disruption emphasizes strengthening and armoring infrastructure (robustness) guided by risk analysis. However, our analysis reveals that indirect pathways of disruption can have meaningful impacts, while also being less amenable to risk/robustness-based approaches. As a result, we posit that concepts like flexibility and agility appear to be well suited to complement the status quo of robustness by addressing the indirect and non-physical pathways of disruption that often prove challenging - thereby improving the resilience of transportation systems. Los Angeles County (LAC) is a large urbanized region with 9.7 million residents (as of 2010) and aging infrastructure. Population forecasts indicate that LAC will become home to an additional 1.2–3.1 million residents through 2060. Additionally, climate forecasts based upon representative concentration pathway (RCP) scenarios 4.5 and 8.5 indicate that average air temperatures will increase by 1—4°C (2—7 °F) in the region. Both of these factors are expected to result in higher summertime peak electricity demand due to growth in the number of buildings, the percentage of installed air conditioners (ACs), and the additional cooling load on those air conditioners. In order to understand potential power reliability issues, and support infrastructure planning efforts, a long-term peak demand forecast was developed using hourly residential and commercial (R&C) building energy models. Peak hour electricity demand was estimated to increase from 9.5—12.8 GW for R&C sectors, to 13.0—17.3 GW (2—36%) and 14.7—19.2 GW (16—51%) by 2060 for the population forecasts from the California Department of Finance and the Southern California Association of Governments respectively. While marginal increases in ambient air temperature due to climate change accounted for only 4—8% of future increases in peak demand, differences in annual maximum temperatures within the 20-year periods affected results by 40%—66% indicating a high sensitivity to heat waves. Population growth of at least 1 million people is anticipated to occur mostly in the northern cities of Palmdale, Lancaster, and Santa Clarita, bringing an additional 0.4—1 GW of peak demand in those regions. Building and AC efficiency are anticipated to improve as national and state efficiency standards increase, and as older, less efficient units are replaced; this could offset some of the projected increases in peak demand. Additionally, development of shared wall, multi-family dwelling units could enable population growth of up to 3 million people without increasing peak demand. 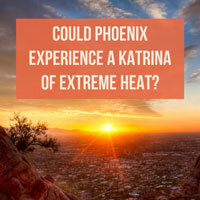 The Vulnerability of Interdependent Urban Infrastructure Systems to Climate Change: Could Phoenix Experience a Katrina Of Extreme Heat? Journal Paper  Sustainable and Resilient Infrastructure, 2019, 4(1), pp. 20-35, doi: 10.1080/23789689.2018.1448668. Continued growth in the American Southwest depends on the reliable delivery of services by critical infrastructure systems, including water, power, and transportation. As these systems age, they are increasingly vulnerable to extreme heat events that both increase infrastructure demands and reveal complex interdependencies that amplify stressors. While the traditional analytic approach to preparing for such hazards is risk analysis, the experience of Hurricane Katrina provides a warning of the limitations of risk-based approaches for confronting complexity, and the potential scale and impact that can result from cascading failures under extreme stress. By contrast, this research is the first to apply resilience theory to understanding complex infrastructure interdependencies during an extreme heat event in Phoenix, AZ and the role of sensing, anticipating, adapting, and learning (SAAL) for mitigating catastrophe. Traditional infrastructure adaptation to extreme weather events (and now climate change) has typically been techno-centric and heavily grounded in robustness – the capacity to prevent or minimize disruptions via a risk-based approach that emphasizes control, armoring, and strengthening (e.g., raising the height of levees). However, climate and non-climate challenges facing infrastructure are not purely technological. Ecological and social systems also warrant consideration to manage issues of overconfidence, inflexibility, interdependence, and resource utilization - among others. As a result, techno-centric adaptation strategies can result in unwanted tradeoffs, unintended consequences, and under-addressed vulnerabilities. Techno-centric strategies that “lock-in” today’s infrastructure systems to vulnerable future design, management, and regulatory practices may be particularly problematic by exacerbating these ecological and social issues rather than ameliorating them. Given these challenges, we develop a conceptual model and infrastructure adaptation case studies to argue the following: 1) infrastructure systems are not simply technological, and should be understood as complex and interconnected social, ecological, and technological systems (SETS); 2) infrastructure challenges, like lock-in, stem from SETS interactions that are often overlooked and underappreciated; 3) framing infrastructure with a “SETS lens” can help identify and prevent maladaptive issues like lock-in; and 4) a SETS lens can also highlight effective infrastructure adaptation strategies that may not traditionally be considered. Ultimately, we find that treating infrastructure as SETS shows promise for increasing the adaptive capacity of infrastructure systems by highlighting how lock-in and vulnerabilities evolve, and how multidisciplinary strategies can be deployed to address these challenges by broadening the options for adaptation. Environmental heat is a growing public health concern in cities. Urbanization and global climate change threaten to exacerbate heat as an already significant environmental cause of human morbidity and mortality. Despite increasing risk, very little is known regarding determinants of outdoor urban heat exposure. To provide additional evidence for building community and national-scale resilience to extreme heat, we assess how US outdoor urban heat exposure varies by city, demography, and activity. We estimate outdoor urban heat exposure by pairing individual-level data from the American Time Use Survey (2004–2015) with corresponding meteorological data for 50 of the largest metropolitan statistical areas in the US. We also assess the intersection of activity intensity and heat exposure by pairing metabolic intensities with individual-level time-use data. We model an empirical relationship between demographic indicators and daily heat exposure with controls for spatiotemporal factors. We find higher outdoor heat exposure among the elderly and low-income individuals, and lower outdoor heat exposure in females, young adults, and those identifying as Black race. Traveling, lawn and garden care, and recreation are the most common outdoor activities to contribute to heat exposure. We also find individuals in cities with the most extreme temperatures do not necessarily have the highest outdoor heat exposure. The findings reveal large contrasts in outdoor heat exposure between different cities, demographic groups, and activities. Resolving the interplay between exposure, sensitivity, adaptive capacity, and behavior as determinants of heat-health risk will require advances in observational and modeling tools, especially at the individual scale. In the coming decades, ambient temperature increase from climate change threatens to reduce not only the availability of water, but also the operational reliability of engineered water systems. Relatively little is known about how temperature stress can increasingly cause hardware components to fail, quality to be affected, and service outages to occur. Changes to the estimated-time- to-failure of major water system hardware and the probability of quality non-compliance were estimated for a modern potable water system that experiences hot summer temperatures, similar to Phoenix, Arizona and Las Vegas, Nevada. A fault tree model was developed to estimate the probability that consequential service outages in quantity and quality will occur. Component failures are projected to have a percent increase of 10 - 89% in scenarios where peak summer temperature has increased from 36 to 44 deg C, which create the conditions for service outages to have a percent increase of 13 - 89%. Increased service outages due to multiple pumping unit failures and water quality non-compliances are the most notable concerns for water utilities. The most effective strategies to prevent temperature-related component failure should focus on maintaining sufficient chlorine residual and cooling pumping unit motors and electronics. As a consequence of the U.S. effort to increase infrastructure security and resilience, the Department of Homeland Security (DHS) and other U.S. federal agencies have identified 16 critical infrastructure sectors that are considered vital to the nation’s well-being in terms of economic security, public health, and safety. However, there remains no articulated set of values that justify this particular list of infrastructure systems or how decision-makers might prioritize investments towards one critical sector over another during a crisis. To offer a more integrated and holistic approach to critical infrastructure resilience, this research employs the Capabilities Approach to human development, which offers an alternative view of critical infrastructure that focuses on the services that infrastructure provides rather than its physical condition or vulnerability to threats. This service-based perspective of infrastructure emphasizes the role of infrastructure in enabling and supporting central human capabilities that build adaptive capacity and improve human well-being. We argue that the most critical infrastructure systems are those that are essential for providing and/or supporting central human capabilities. This paper examines the DHS designation of criticality from a capabilities perspective and argues for a capabilities basis for making distinctions between those systems that should be considered most critical and those that might be temporarily sacrificed. 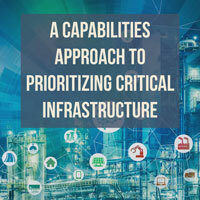 A key implication of this work is that an across sector approach is required to reorganize existing critical infrastructure efforts around the most valuable infrastructure services. Journal Paper  Issues in Science and Technology, 2018, 34(3). Public cooling centers are a recommended component of heat management plans aimed at reducing morbidity and mortality during extreme heat events. Although access to air conditioned space is known to reduce health risks associated with heat exposure, it is not known if these facilities are well positioned to serve those that are the most vulnerable to heat. Additionally, other air-conditioned public spaces are also recommended as options by weather and public health agencies. Public cooling centers may provide redundant coverage in some areas with an excess of alternatives. We explored the distribution of two public cooling center networks (Los Angeles County, CA and Maricopa County, AZ) and found that significant fractions of the networks, 46% in Los Angeles and 75% in Maricopa, were located in areas with abundant, publically available, air-conditioned spaces. To locate these facilities more effectively, underlying socio-economic characteristics that contribute to heat vulnerability and access to existing public cooled spaces should be considered. Using a maximal covering location problem framework and household-scale geospatial data, we show that the existing facility locations were suboptimal. Using a new iterative method of aggregating household level data and ArcGIS location analysis tools, we identified sets of facilities that improve access to cooling centers for those who are more susceptible to heat without access to potential alternatives. Generally, the results suggest shifting cooling centers from mixed-use urban cores where numerous public air-conditioned spaces exist to dense inner- and outer-suburbs where homogenous land use patterns potentially isolate residents from cooling center alternatives. Extreme events are of interest worldwide given their potential for substantial impacts on social, ecological, and technical systems. Many climate-related extreme events are increasing in frequency and/or magnitude due to anthropogenic climate change, and there is increased potential for impacts due to the location of urbanization and the expansion of urban centers and infrastructures. Many disciplines are engaged in research and management of these events. However, a lack of coherence exists in what constitutes and defines an extreme event across these fields, which impedes our ability to holistically understand and manage these events. Here, we review 10 years of academic literature and use text analysis to elucidate how six major disciplines--climatology, earth sciences, ecology, engineering, hydrology, and social sciences--define and communicate extreme events. Our results highlight critical disciplinary differences in the language used to communicate extreme events. Additionally, we found a wide range in definitions and thresholds, with more than half of examined papers not providing an explicit definition, and disagreement over whether impacts are included in the definition. We urge distinction between extreme events and their impacts, so that we can better assess when responses to extreme events have actually enhanced resilience. Additionally, we suggest that all researchers and managers of extreme events be more explicit in their definition of such events as well as be more cognizant of how they are communicating extreme events. We believe clearer and more consistent definitions and communication can support transdisciplinary understanding and management of extreme events. Commonly adopted engineering pedagogy tends to be lecture based, and places students in a passive and often secondary role in the classroom. Research in the field of engineering education highlights the ineffectiveness of such strategies and advocates adopting strategies that actively engage learners. Various pedagogical techniques promote student engagement; this paper focuses on two specific techniques: problem-based learning (PBL) and vertical integration. The authors created engaging classroom environments through vertically integrated courses that implemented PBL through shared course projects. Specifically, the authors created a framework for pairing two different student bodies across two disciplines, integrating a graduate civil engineering course (32 students) and an undergraduate construction management course (22 students). Implementation of the Spring 2016 framework improves student performance on course projects and students’ self-reported professional skill level and confidence in said skills, developed in part through participation in the framework. Further, the framework has a positive impact on undergraduate students’ intention to stay in their major and both student bodies report more interest in completing an additional advanced degree after participating in the vertically integrated courses. Finally, students report that the experience teaches professional skills they expect will be required in their own future careers. It is notable that undergraduates recognized more benefits of this implementation, especially that they have more potential for improvement than advanced graduate students. This paper contributes to the engineering education body of knowledge by delivering a proof of concept that PBL through vertical integration of different disciplines across undergraduate and graduate students supports improved performance and encourages professional skill development and confidence. The paper presents the framework itself, as well as evaluative results from framework implementation. Journal Paper  Issues in Science and Technology, 2018, 34(2). 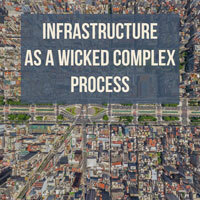 The United States is at an infrastructural crossroads. First, the climate is changing faster than built infrastructure and the institutions that manage and maintain it. Recent extreme weather events highlight the precarious state of the nation’s infrastructure and the ability of cities to adapt to climate change. After the nation in 2016 broiled through its hottest summer on record, 2017 began with one of the wettest winters on record for California and the Pacific Northwest. The 2017 hurricane season proved to be the most devastating and costly in the nation’s history. Hurricanes Harvey in Texas and Irma in Florida inflicted as much as $290 billion in damages. In the past 60 years, there has never been an Atlantic hurricane as intense as Maria was over the US territory of Puerto Rico. Two months after the hurricane, fewer than half of Puerto Rico’s 3.4 million residents had regained electric power. According to some estimates, Maria may have set the Puerto Rican economy back by a quarter century in just 12 hours. And adding to the list of miseries, a series of wildfires starting during volatile weather conditions in October devastated large areas of northern California and claimed at least 43 lives. As technologies rapidly progress, there is growing evidence that our civil infrastructure do not have the capacity to adaptively and reliably deliver services in the face of rapid changes in demand, conditions of service, and environmental conditions. Infrastructure are facing multiple challenges including inflexible physical assets, unstable and insufficient funding, maturation, utilization, increasing interdependencies, climate change, social and environmental awareness, changes in coupled technology systems, lack of transdisciplinary expertise, geopolitical security, and wicked complexity. These challenges are interrelated and several produce non-stationary effects. Successful infrastructure in the twenty-first century will need to be flexible and agile. Drawing from other industries, we provide recommendations for competencies to realize flexibility and agility: roadmapping, focus on software over hardware, resilience-based thinking, compatibility, connectivity, and modularity of components, organic and change-oriented management, and transdisciplinary education. First, we will need to understand how non-technical and technical forces interact to lock in infrastructure, and create path dependencies. Treatment of drinking water decreases human health risks by reducing pollutants, but the required materials, chemicals, and energy emit pollutants and increase health risks. We explored human carcinogenic and non-carcinogenic disease tradeoffs of water treatment by comparing pollutant dose-response curves against life cycle burden using USEtox methodology. An illustrative wellhead sorbent groundwater treatment system removing hexavalent chromium or pentavalent arsenic serving 3200 people was studied. Reducing pollutant concentrations in drinking water from 20 micrograms/L to 10 micrograms/L avoided 37 potential cancer cases and 64 potential non-cancer disease cases. Human carcinogenicity embedded in treatment was 0.2-5.3 cases, and non-carcinogenic toxicity was 0.2-14.3 cases, depending on technology and degree of treatment. Embedded toxicity impacts from treating Cr(VI) using strong-base anion exchange were <10% of those from using weak base anion exchange. Acidification and neutralization contributed >90% of the toxicity impacts for treatment options requiring pH control. In scenarios where benefits exceeded burdens, tradeoffs still existed. Benefits are experienced by a local population but burdens are born externally where the materials and energy are produced, thus exporting the health risks. Even when burdens clearly exceeded benefits, cost considerations may still drive selecting a detrimental treatment level or technology. Parking and the City is an upcoming edited volume by Professor Emeritus Donald Shoup of UCLA. 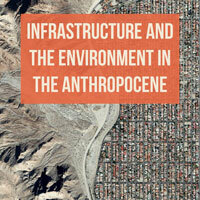 It will be published by the American Planning Association. As climate change affects precipitation patterns, urban infrastructure may become more vulnerable to flooding. Flooding mitigation strategies must be developed such that the failure of infrastructure does not compromise people, activities, or other infrastructure. Safe-to-fail is an emerging paradigm that broadly describes adaptation scenarios that allow infrastructure to fail but control or minimize the consequences of the failure. Traditionally, infrastructure is designed as “fail-safe” where they provide robust protection when the risks are accurately predicted within a designed safety factor. However, the risks and uncertainties faced by urban infrastructures are becoming so great due to climate change that the “fail-safe” paradigm should be questioned. We propose a framework to assess potential flooding solutions based on multiple infrastructure resilience characteristics using a multi-criteria decision analysis (MCDA) analytic hierarchy process algorithm to prioritize “safe-to-fail” and “fail-safe” strategies depending on stakeholder preferences. Using urban flooding in Phoenix, Arizona as a case study, we first estimate flooding intensity and evaluate roadway vulnerability using the Storm Water Management Model for a series of downpours that occurred on September 8, 2014. Results show the roadway types and locations that are vulnerable. Next, we identify a suite of adaptation strategies and characteristics of these strategies, and attempt to more explicitly categorize flooding solutions as “safe-to-fail” and “fail-safe” with these characteristics. Lastly, we use MCDA to show how adaptation strategy rankings change when stakeholders have different preferences for particular adaptation characteristics. Climate non-stationarity is a challenge for electric power infrastructure reliability; recordbreaking heat waves significantly affect peak demand, lower contingency capacities, and expose cities to risk of blackouts due to component failures and security threats. The United States’ electric grid operates safely for a wide range of load, weather, and power quality conditions. Projected increases in ambient air temperatures could, however, create operating conditions that place the grid outside the boundaries of current reliability tolerances. 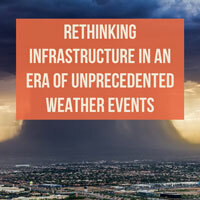 Advancements in long-term forecasting, including projections of rising air temperatures and more severe heat waves, present opportunities to advance risk management methods for long-term infrastructure planning. This is particularly evident in the US Southwest—a relatively hot region expected to experience significant temperature increases affecting electric loads, generation, and delivery systems. Generation capacity is typically built to meet the 90th percentile (T90) hottest peak demand, plus an additional reserve margin of least 15%, but that may not be sufficient to ensure reliable power services if air temperatures are higher than expected. The problem with this T90 planning approach is that it requires a stationary climate to be completely effective. In reality, annual temperature differences can have more than a 15% effect on system performance. Current long-term infrastructure planning and risk management processes are biased climate data choices that can significantly underestimate peak demand, overestimate generation capacity, and result in major power outages during heat waves. This study used downscaled global climate models (GCMs) to evaluate the effects of non-stationarity on air temperature forecasts, and a new high-level statistical approach was developed to consider the subsequent effects on peak demand, power generation, and local reserve margins (LRMs) compared to previous forecasting methods. Air temperature projections in IPCC RCPs 4.5 and 8.5 are that increases up to 6 °C are possible by the end of century, with highs of 58 °C and 56 °C in Phoenix, Arizona and Los Angeles, California respectively. In the hottest scenarios, we estimated that LRMs for the two metro regions would be on average 30% less than at respective T90s, which in the case of Los Angeles (a net importer) would require 5 GW of additional power to meet electrical demand. We calculated these values by creating a structural equation model (SEM) for peak demand based on the physics of common AC units; physics-based models are necessary to predict demand under unprecedented conditions for which historical data do not exist. The SEM forecasts for peak demand were close to straight-line regression methods as in prior literature from 25–40 °C (104 °F), but diverged lower at higher temperatures. Power plant generation capacity derating factors were also modeled based on the electrical and thermal performance characteristics of different technologies. Lastly, we discussed several strategic options to reduce the risk of LRM shortages; including implementing technology, market incentives, and urban forms that reduce peak load and load variance per capita as well as their tradeoffs with several other stakeholder objectives. With potential for automobiles to cause increased greenhouse gas emissions and air pollution relative to other modes, there is concern that using automobiles to access or egress public transportation may significantly increase the environmental impacts from door-to-door transit trips. Yet little rigorous work has been developed that quantitatively assesses the effects of transit access or egress by automobiles. This research evaluates the life-cycle impacts of first-and-last mile trips on multimodal transit. An environmental life-cycle assessment of transit and automobile travel in the greater Los Angeles region is developed to evaluate the impacts of multimodal transit trips by utilizing existing transportation life-cycle assessment methods. First-last mile automobile trips with transit may increase multimodal trip emissions significantly, mitigating potential impact reductions from transit usage. In some cases, multimodal transit trips with first-last mile automobile use may have higher emissions than competing automobile trips. In the near-term, first-last mile automobile trips in some Los Angeles transit services may account for up to 66% of multimodal greenhouse gas trip emissions, and as much as 75% of multimodal air quality impacts. Fossil fuel energy generation and combustion, low vehicle occupancies, and longer trip distances contribute most to increased multimodal impacts. Supply chain analysis indicates that life-cycle air quality impacts may occur largely locally (in Los Angeles) or largely remotely depending on the propulsion method and location of upstream life-cycle processes. Reducing 10% of transit system greenhouse emissions requires a shift of 23–50% of automobile first-last mile trips to a neutral emissions mode. Interdependent systems providing water and energy services are necessary for agriculture. Climate change and increased resource demands are expected to cause frequent and severe strains on these systems. Arizona is especially vulnerable to such strains due to its hot and arid climate. However, its climate enables year-round agricultural production, allowing Arizona to supply most of the country's winter lettuce and vegetables. In addition to Phoenix and Tucson, cities including El Paso, Las Vegas, Los Angeles, and San Diego rely on Arizona for several types of agricultural products such as animal feed and livestock, meaning that disruptions to Arizona agriculture also disrupt food supply chains to at least six major cities. Arizona's predominately irrigated agriculture relies on water imported through an energy intensive process from water-stressed regions. Most irrigation in Arizona is electricity powered, so failures in energy or water systems can cascade to the food system, creating a food-energy-water (FEW) nexus of vulnerability. We construct a dynamic simulation model of the FEW nexus in Arizona to assess the potential impacts of increasing temperatures and disruptions to energy and water supplies on crop irrigation requirements, on-farm energy use, and yield. We use this model to identify critical points of intersection between energy, water, and agricultural systems and quantify expected increases in resource use and yield loss. Our model is based on threshold temperatures of crops, USDA and US Geological Survey data, Arizona crop budgets, and region-specific literature. We predict that temperature increase above the baseline could decrease yields by up to 12.2% per 1degC for major Arizona crops and require increased irrigation of about 2.6% per 1degC. Response to drought varies widely based on crop and phenophase, so we estimate irrigation interruption effects through scenario analysis. We provide an overview of potential adaptation measures farmers can take, and barriers to implementation. The environmental and economic impacts of electric vehicles are highly dependent on different types of temporal and spatial variations, including (but not limited to) electricity generation source, driving patterns and conditions, and fuel prices. This study explores the suitability of battery electric vehicles (BEVs) in each state in the U.S. by considering state-specific variations in electricity generation profiles, operation costs, and potential market shares, given current government policies and the social acceptability of the BEVs. This analysis presents a comparative performance assessment of each state and identifies major policy areas to focus on so as to increase suitability of BEVs. To address state-specific inefficiencies towards adoption of BEVs, a novel multi-criteria decision-making framework is developed by integrating Life Cycle Assessment, Data Envelopment Analysis, and Agent Based Modeling. To this end, the environmental and economic impacts of electric vehicles are calculated based on three scenarios: an average electricity generation mix, a marginal electricity generation mix, and an extreme scenario with a 100% solar electricity generation mix. The state-specific water consumption/withdrawal rates and operation costs of BEVs are taken into consideration, as well as their state-specific carbon and energy footprints. The results reveal how different states can utilize their potential of minimizing the negative impacts of transportation by adopting BEVs. While some states are either already successful or currently unsuitable for a widespread adoption of BEVs, some are lagged behind their potential of utilizing more BEVs. The results of this study can be useful for advancing transportation policies by providing a framework for multi-criteria decision analyses in the future. In addition, policy makers can evaluate the relative performance of BEVs compared to states that have already more successfully implemented policies aimed at promoting widespread adoption of BEVs. Climate change could significantly affect consumer demand for energy in buildings, as changing temperatures may alter heating and cooling loads. Warming climates could also lead to the increased adoption and use of cooling technologies. We assess residential electricity and natural gas demand in Los Angeles, California under multiple climate change projections and investigate the potential for energy efficiency to offset increased demand. We calibrate residential energy archetypes against metered data, accounting for differences in building materials and appliances. Under temperature increases, we find that without policy intervention, residential electricity demand could increase by as much as 41-87% between 2020 and 2060. However, aggressive policies aimed at upgrading heating/cooling systems and appliances could result in electricity use increases as low as 28%, potentially avoiding the installation of new generation capacity. We therefore recommend aggressive energy efficiency, in combination with low-carbon generation sources, to offset projected increases in residential energy demand. The leading source of weather-related deaths in the United States is heat, and future projections show that the frequency, duration, and intensity of heat events will increase noticeably in the Southwestern US. As the number of extreme heat events rises, there is a dearth of knowledge about how infrastructure could be vulnerable to heat events or could contribute to social vulnerability. To understand how buildings perform in heat and potentially stress people, we estimate how quickly indoor air temperature increases across representative building prototypes in Los Angeles, California and Phoenix, Arizona metro areas when air conditioning is inaccessible. Our prototypes include major classifications and cover current and historical time periods. Building thermal vulnerability is defined as the time elapsed as indoor air temperature warms to a threshold temperature deemed to be unsafe based on morbidity and mortality data. Building age and geometry are found to be the strongest indicators of vulnerability. Older neighborhoods in Los Angeles and Phoenix (often more centrally located in the metropolitan areas) are found to contain the buildings whose interiors warm the fastest, raising particular concern because these regions are also forecast to experience temperature increases. Buildings in only 15% of census tracts in Los Angeles and 61% of census tracts in Phoenix warm to over 90°F (32°C) in less than 48 hours of extreme heat. To combat infrastructure vulnerability and provide heat refuge for residents, incentives should be adopted to strategically retrofit buildings where both socially vulnerable populations reside and increasing temperatures are forecast. In the United States public transit utilization has increased significantly in the last decade and is considered a critical component in reducing energy use and greenhouse gas emissions in urban areas. Despite public transit’s climate change mitigation potential, the use of transit necessitates environmental exposure which may be a health hazard during periods of extreme heat. Transit system design, which includes stop location and schedules, is shown to contribute to environmental exposure resulting from access and waiting. Using Los Angeles Metro (Los Angeles County, CA) and Valley Metro (Maricopa County, AZ) as case studies of systems operating in extreme heat conditions, the research demonstrates how system design contributes to heat exposure times that vary significantly between neighborhoods. Household level access (walking) time estimates are developed using a shortest path algorithm to nearby transit stops. Waiting time estimates for individual transit stops are derived from published transit schedules and on-board survey responses. The results show that transit users from areas with low residential density, limited high capacity roadways and irregular street networks, and not located along direct paths between major activity centers are likely to experience prolonged access and/or waiting times. Public transit may help mitigate climate change impacts but transit proponents, agencies and planners should be cognizant of the impact an uncertain climate future may have on a growing base of transit riders. These insights can allow us to proactively govern and adapt transit systems to protect people from a growing health concern. Life Cycle Assessment (LCA) and Urban Metabolism (UM) are popular approaches for urban system environmental assessment. However, both approaches have challenges when used across spatial scales. LCA tends to decompose systemic information into micro-level functional units that mask complexity and purpose, while UM typically equates aggregated material and energy flows with impacts and is not ideal for revealing the mechanisms or alternatives available to reduce systemic environmental risks. This study explores the value of integrating UM with LCA, using vehicle transportation in the Phoenix metropolitan area as an illustrative case study. Where other studies have focused on the use of LCA providing upstream supply chain impacts for UM, we assert that the broader value of the integrated approach is in i) the ability to cross scales (from micro to macro) in environmental assessment, and ii) establishing an analysis that captures function and complexity in urban systems. The results for Phoenix show the complexity in resource supply chains and critical infrastructure services, how impacts accrue well beyond geopolitical boundaries where activities occur, and potential system vulnerabilities. It is increasingly acknowledged that urban areas can play a key role in the profound shift that is required in humankind’s ways of understanding and responding to climate and sustainability challenges. These new ways of understanding and responding, however, will require bringing together urban planners, social scientists, business leaders, engineers and other diverse knowledge and power domains - an undertaking that creates its own set of seemingly intractable complications. As documented by scholars studying diverse fields of human endeavor, from pure scientific inquiry of urban weather and climate to governmental planning and to the private sector construction of urban infrastructures, one of the most difficult problems in creating change lies in moving people beyond the mental models, ways of knowing, tools and analytical systems they learn during their academic training and professionalization. Scholarship on urban risk and vulnerability offers an example of this trend. While research on risk and vulnerability has grown considerably during recent years, it has consisted primarily of case studies based on the assumption that both depend on context. Furthermore, scholars and practitioners working on urban risk and vulnerability have offered often conflicting theories and interpretations that tend to shed light on only certain aspects of the problem, while other areas remain in the dark. This has political, equity and sustainability implications. For instance, the vast majority of epidemiological studies on health risks from heat waves have quantified the relationship between heat waves and health outcomes, while controlling for age and other factors. However, these studies have omitted underlying historical processes of socio-spatial segregation (e.g., land use planning) explaining urban populations’ differentiated access to green areas, air conditioning, health services, and other assets and options, and thus, differences in exposure to temperature and populations capacity to adapt to heat stress and mitigate heat risks. The development of approaches that can explain these differences may help move towards cohesive and policy relevant narratives. This chapter starts with a brief discussion of existing definitions and approaches to understanding the interactions among urbanization, urban risk, and vulnerability. We outline the necessary components of an interdisciplinary understanding of how environmental and societal processes such as global warming and urbanization contribute to intra and inter-urban vulnerability to heat waves, floods, droughts and other climatic hazards. We highlight some of the mechanisms by which vulnerability and risk are shaped by the dynamics of urbanization, acting upon urban centers as places with unique social and environmental histories, opportunities and constraints. And we close with some concluding remarks on ways forward to reducing risk and enhancing populations’ capacity within and across urban areas. Public agencies, particularly those responsible for infrastructure and its use, are increasingly being asked to reduce their system’s greenhouse gas emissions. Cities are growing increasingly concerned of the impacts of anthropogenic climate change, and how critical services, economic growth, and social well-being can be maintained with increasing environmental stressors. According to the US EPA, transportation can contribute up to 27% (2013) of all greenhouse gas emissions across the country and often consists of a majority share of greenhouse gas emissions from urban activities. These emissions are largely attributed to the combustion of gasoline and diesel fuels for automobile and truck travel. To reduce greenhouse gas emissions, cities often focus on strategies that increase biking, walking, and public transit ridership, by shifting travelers from single passenger vehicle travel, enhancing congestion reduction strategies, or increasing transit-land use co-benefits. Particularly, these can include building new public transit systems, increasing service of existing lines, increasing multi-modal transportation share and use, and encouraging growth in mixed residential and commercial land uses. How do transportation systems emit greenhouse gas emissions? The emissions assessment of internal combustion engine vehicles such as automobiles, trucks, or diesel trains, typically focuses on the so-called tailpipe emissions. Gasoline or diesel fuels are combusted and work, the movement of the vehicle and its passenger, is performed. During the combustion of carbon-based fuels (such as gasoline or diesel), the vast majority of the carbon in the fuel is turned into carbon dioxide (CO2), a potent greenhouse gas. In the past, the greenhouse gas intensity (for example, CO2 emissions per mile of travel) of transportation modes focused largely on tailpipe emissions. But electrified modes such as light rail have no tailpipe emissions. Recognizing the challenges of identifying who should be responsible for greenhouse gas emissions, the US EPA created a “scopes” classification. Scope 1 emissions are from fuels directly. Scope 2 emissions are from the generation of electricity, heating and cooling, or steam generated offsite but purchased by the entity. Scope 3 emissions result from sources that indirectly support an activity. As such, an electric train’s greenhouse gas footprint would be associated with electricity generation, i.e., Scope 2. However, the transportation “system” is much more than vehicle propulsion. Infrastructure must be constructed and maintained, vehicles must be manufactured and maintained, energy must be produced, and supply chains must exist to support all of these activities. Each of these processes can emit greenhouse gases. For the past several hundred years, civil engineers have designed, constructed, operated, maintained, and decommissioned infrastructure that has enabled vast improvements in quality of life, economic growth, and well-being. As populations have grown and these infrastructures have evolved, there is increasing necessity to understand the sustainability of these systems and the activities that they enable and/or effect. Civil infrastructure systems are heavily integrated into the social and economic fabrics of cities, counties, states, and countries. Their design and use create environmental, social, and economic impacts. Civil engineers must embed sustainability principles into their thinking, to lead well in the development of new infrastructure systems for the future. Access to air conditioned space is critical for protecting urban populations from the adverse effects of heat exposure. Yet there remains fairly limited knowledge of penetration of private (home air conditioning) and distribution of public (cooling centers and commercial space) cooled space across cities. Furthermore, the deployment of government-sponsored cooling centers is not based on the location of existing cooling resources (residential air conditioning and air conditioned public space), raising questions of the equitability of access to heat refuges. Using Los Angeles County, California and Maricopa County, Arizona (whose county seat is Phoenix) we explore the distribution of private and public cooling resources and access inequities at the household level. We do this by evaluating the presence of in-home air conditioning and developing a walking-based accessibility measure to air conditioned public space using a combined cumulative opportunities-gravity approach. We find significant inequities in the distribution of residential air conditioning across both regions which are largely attributable to building age and inter/intra-regional climate differences. There are also regional disparities in walkable access to public cooled space. At average walking speeds, we find that official cooling centers are only accessible to a small fraction of households (3% in Los Angeles, 2% in Maricopa) while a significantly higher number of households (80% in Los Angeles, 39% in Maricopa) have access to at least one other type of public cooling resource which includes libraries and commercial establishments. Aggregated to a neighborhood level, we find that there are areas within each region where access to cooled space (either public or private) is limited which may increase the health risks associated with heat. Nanocomposite sorbents are an emerging technology for drinking water treatment of multiple pollutants. Here we used anticipatory life cycle assessment to proactively inform sustainable development by comparing synthesis methods and treatment options, identifying critical steps in deployment, and reducing the environmental and human health impacts such that the nanocomposite sorbents become favorable over the existing technology of using two different materials in a mixed bed (MB). We studied iron (hydr)oxide or titanium dioxide nanoparticles precipitated in an anion exchange resin (Fe-AX and Ti-AX) for targeted removal of chromium and arsenic from drinking water. The Ti-AX had the lowest environmental and human health impacts compared to Fe-AX and MB for nine TRACI (Tool for the Reduction and Assessment of Chemical and Environmental Impacts) categories. The synthesis phase for each sorbent contributed 50% – 100% of the total impacts. The greatest opportunity to improve Ti-AX synthesis was reducing oven heating time for nanoparticle hydrolysis. Reducing from 24 to 4 hours had only a small loss in sorbent capacity but reduced impacts by 3%– 31%. Fe-AX synthesis was improved by increasing pollutant removal capacity to require less sorbent to treat the functional unit. This reduced impacts by 26%–42%, making it favorable or equal with MB for six of nine categories. Future development of nanocomposite sorbent synthesis methods should focus on optimizing sorbent capacity, decreasing heating energy demand, and efficiently reusing metal precursors and solvents. This study showed that benefits of treating drinking water involve environmental and human health tradeoffs, and that impacts associated with treatment are on the same order of magnitude as distribution pressurization. Climate change may constrain future electricity supply adequacy by simultaneously reducing electric transmission capacity and increasing electricity demand. This study estimates potential climate impacts to electric transmission capacity and peak electricity load in the United States using downscaled global climate model (GCM) projections. Electric power cables suffer decreased transmission capacity under hotter ambient air temperatures; similarly, during the summer peak period, electricity demand typically increases with hotter air temperatures due to increased cooling loads. As atmospheric carbon concentrations increase, higher ambient air temperatures may strain power infrastructure by simultaneously reducing transmission capacity and increasing peak electricity demand. Taken together, these coincident impacts may adversely affect electric power supply adequacy. We estimate the impacts of climate change on both the rated capacity of transmission infrastructure and expected electricity demand for 1,044 electrical utilities across the United States. We estimate climate-attributable capacity reductions to transmission lines by constructing thermal models of representative conductors, then forcing these models with future temperature projections to determine the relative change in rated ampacity. Next, we assess the impact of climate change on electricity demand by using historical relationships between ambient temperature and utility-scale summertime peak load to estimate the extent to which climate change will incur additional peak load increases. We find that by mid-century (2040-2060), climate change may reduce average summertime transmission capacity by 1.9-5.8% relative to the 1990-2010 reference period. At the same time, peak summertime loads may rise by 4.2-15% on average due to increases in ambient air temperature. In the absence of energy efficiency gains, demand-side management programs and transmission infrastructure upgrades, these load increases have the potential to upset current assumptions about future electricity supply adequacy. Vehicle border crossings between Mexico and the United States generate significant amounts of air pollution, which can pose health threats to personnel at the ports of entry (POEs) as well as local communities. Using the Mariposa POE in Nogales, Arizona as a case study, light-duty and heavy-duty vehicle emissions are analyzed with the objective of identifying effective emission reduction strategies such as inspection streamlining, physical infrastructure improvements, and fuel switching. Historical vehicle volumes as well as field data were used to establish a simulation model of vehicle movement in VISSIM. Four simulation scenarios with varied congestion levels were considered to represent real-world seasonal changes in traffic volume. Four additional simulations captured varying levels of expedited processing procedures. The VISSIM output was analyzed using the EPA's MOVES emission simulation software for conventional air pollutants. For the highest congestion scenario, which includes a 200% increase in vehicle volume, total emissions increase by around 460% for PM2.5 and NOx, and 540% for CO, SO2, GHGs, and NMHC over uncongested conditions. Expedited processing and queue reduction can reduce emissions in this highest congestion scenario by as much as 16% for PM2.5, 18% for NOx, 20% for NMHC, 7% for SO2 and 15% for GHGs and CO. Adoption of some or all of these changes would not only reduce emissions at the Mariposa POE, but would have air-quality benefits for nearby populations in both the US and Mexico. Fleet-level changes could have far-reaching improvements in air quality on both sides of the border. Electric vehicles are an emerging technology with significant potential for reducing carbon dioxide emissions. Yet strategies to minimize carbon dioxide emissions by strategically charging during different times of day have not been rigorously explored. To identify possibilities for minimizing emissions from plug-in electric vehicle use, daily optimized charging strategies over each electricity reliability region of the United States are explored. Optimized schedules of plug-in electric vehicle charging for standard and vehicle-to-grid use were compared with pre-timed charging schedules to characterize the potential for carbon dioxide emission reductions across charging characteristics, regional driving, and marginal energy generation trends. It was found that optimized charging can reduce carbon dioxide emissions over pre-timed charging by as much as 31% for standard use and 59% for vehicle-to-grid use. However, some scenarios of vehicle-to-grid participation were found to increase carbon dioxide emissions by up to 396 g carbon dioxide per mile by displacing stored energy from more carbon-intense energy generation periods. Results also indicate that plug-in electric vehicle charging emissions can vary widely for a given energy efficiency rating. Current energy efficiency ratings may lead to incorrect assumptions of plug-in electric vehicles emissions compared to conventional gasoline vehicles due to varying regional and temporal emissions. To coincide with the push for lower greenhouse gas emissions from transportation, charging times for plug-in electric vehicles should target periods where charging promotes carbon dioxide reductions, and electric vehicle energy efficiency ratings should be reconsidered in order to promote sustainable plug-in electric vehicle use moving forward. In an extreme heat event, people can go to air-conditioned public facilities if residential air-conditioning is not available. Residences that heat slowly may also mitigate health effects, particularly in neighborhoods with social vulnerability. We explored the contributions of social vulnerability and these infrastructures to heat mortality in Maricopa County and whether these relationships are sensitive to temperature. Using Poisson regression modeling with heat-related mortality as the outcome, we assessed the interaction of increasing temperature with social vulnerability, access to publicly available air conditioned space, home air conditioning and the thermal properties of residences. As temperatures increase, mortality from heat-related illness increases less in census tracts with more publicly accessible cooled spaces. Mortality from all internal causes of death did not have this association. Building thermal protection was not associated with mortality. Social vulnerability was still associated with mortality after adjusting for the infrastructure variables. To reduce heat-related mortality, the use of public cooled spaces might be expanded to target the most vulnerable. Current life cycle assessment (LCA) interpretation practices typically emphasize hotspot identification and improvement assessment. However, these interpretation practices fail in the context of a decision-driven comparative LCA where the goal is to select the best option from a set of dissimilar alternatives. Interpretation of comparative LCA results requires understanding of the trade-offs between alternatives—instances in which one alternative performs better or worse than another—to identify the environmental implications of a specific decision. In this case, analysis must elucidate relative trade-offs between decision alternatives, rather than absolute description of the alternatives individually. Here, typical practices fail. This article introduces a probability distribution-based approach to assess the significance of performance differences among alternatives that allows LCA practitioners to focus analyses on those aspects most influential to the decision, identify the areas that would benefit the most from data refinement given the level of uncertainty, and complement existing hotspot analyses. In a case study of a comparative LCA of five photovoltaic technologies, findings show that thin-film cadmium telluride and amorphous silicon cell panels are most likely to perform better than other alternatives. Additionally, the impact categories highlighted by the new approach are different than those highlighted by typical nal normalization practices, suggesting that a decision-driven approach to interpretation would redirect environmental research efforts. Heat vulnerability of urban populations is becoming a major issue of concern. The American Southwest is predicted to experience greater numbers of heat days as well as significant impacts to water supply due to climate change impacts. We point to the importance of coupled socio technical system analysis to understand how people maybe be impacted by heat and how these systems themselves may structure unequal exposure to heat impacts and result in vulnerability. We suggest it is important to go beyond examining urban heat island effects to a broader scale of analysis that includes power systems and their need for water, urban morphology (e.g. buildings, access to cooling centers, parks, open space and surface albedo), and vulnerable populations. Rules, regulations, codes all structure the urban environment (street widths, building insulation, location of cooling centers and so forth) and form the social regulatory side of the socio technical system. The rules and regulations are manifest in the hard infrastructures, or technical systems, that then create the built environment, pipes, wires and power supply. Together they structure the socio technical system that may have significant unequal impacts on human populations. In this case we discuss the impacts of a warming climate in the Southwest United States and the potential implications for vulnerable populations. Within residential electricity consumption there exists significant variability from home to home due to the differences in the thermal properties of buildings, appliances used, and activities of the inhabitants. Electricity analyses at sub-city scales that use predefined geographies, such census tracts, might artificially split areas that have homogenous socio-technical characteristics and thus different patterns of electricity consumption. We investigate the spatial relationships between demographic variables, types of buildings, and electricity consumption by forming new geographies for residential building energy use with a max-p clustering algorithm. Using Los Angeles and New York City as case studies, we compare the differences in variability in energy use within predefined geographies (e.g., census tract) and geographies defined by clustering on socio-technical characteristics. We find that using a socio-technical clustering approach, regardless of the chosen subset of variables, reduces the variability over pre-defined geopolitical boundaries with high statistical significance. By defining geospatial regions of energy analysis, we reduce intra-regional variability by 13% in Los Angeles and 29% in New York, thereby improving opportunities for prediction and forecasting. To our knowledge, this is the first study to examine the role of spatial boundaries in urban energy assessment. The creation of socio-technical geographies for building electricity assessment creates opportunities for improving predictions and forecasts for future sub- and cross-city energy studies. As local governments plan to expand airport infrastructure and build air service, monetized estimates of damages from air pollution are important for balancing environmental impacts. While it is well known that aircraft emissions near airports directly affect nearby populations, it is less clear how the airport-specific aircraft operations and impacts result in monetized damages to human health and the environment. We model aircraft and ground support equipment emissions at major US airports and estimate the monetized human health and environmental damages of near airport (within 60 miles) emissions. County-specific unit damage costs for PM, SOx, NOx, and VOCs and damage valuations for CO and CO2 are used along with aircraft emissions estimations at airports to determine impacts. We find that near-airport emissions at major US airports caused a total of $1.9 billion in damages in 2013, with airports contributing between $720 thousand and $190 million each. These damages vary by airport from $1 to $9 per seat per one-way flight and costs per passenger are often greater than airport landing fees. As the US aviation system grows, it is possible to minimize human and environmental costs by shifting airplane technologies and expanding service into airports where fewer impacts are likely to occur. Passenger and freight transport are one of the world’s leading contributors of anthropogenic carbon dioxide and other greenhouse gas (GHG) emissions. It has been suggested that the world can reduce the GHG-intensity of the transportation sector in the future through the adoption of new fuel-saving technologies, switching demand between modes, and large-scale implementation of alternative fuels. The future scenarios presented in this study assess the GHG reduction potentials of policies related to these three strategies for major passenger and freight modes across 8 regions of the world. We find that new fuel-saving technologies can significantly reduce the life-cycle GHG footprint of both passenger and freight vehicles. However, this improved fuel efficiency has negative feedbacks to the effectiveness of mode-switching and alternative fuel adoption policies through 2050. Our results suggest that improvements in the fuel efficiency of vehicles alone may cause the marginal benefits of GHG abatement policies to diminish over time. However, this trend may be opposite if the rate at which alternative fuel pathways decarbonize at faster rates than conventional transportation fuels (e.g., petroleum based). Overall, we find that the largest opportunities for GHG reductions occur in non-OECD countries. Given the many factors that distinguish transportation systems within these countries from the rest of the world (e.g., individual access to financial resources, control over infrastructure, systems to maintain new technologies, etc. ), many benefits could be gained through interregional cooperation. Emissions assessment of goods movement should include local and remote life-cycle effects as well as barriers for mode shifting to effectively reduce future impacts. Using uni- and multi-modal freight movements by truck, rail, and ocean-going vessel within California, a life-cycle assessment is developed to estimate the local and remote emissions that occur from freight activity associated with the state and the potential for reducing emissions for legislated goals. California Assembly Bill 32 calls for a greenhouse gas emission reduction of 3.5 million tonnes from the goods movement sector by 2020. Long-run average mode-specific results show that ocean going vessels emit the fewest emissions per tonne-km of shipment, followed by rail, then by trucks, and that the inclusion of life-cycle processes can increase impacts by up 36% for energy and GHG emissions and by over 5,000% for conventional air pollutants. Efforts to reduce emissions by mode shifting should recognize that infrastructure and market configurations may preclude the substitution of one mode for another. A uni- and multi-modal shipping emissions assessment is developed for intrastate and California-associated freight movements to illustrate the life-cycle impacts of typical trips for certain types of goods. The trip-based assessment shows how emissions are the result of activities that span multiple geopolitical boundaries. When targeting greenhouse gas reductions in California it should be recognized that heavy-duty trucks are responsible for 98% of emissions within the state and little opportunity exists to shift freight to other modes. Thus, an assessment of future freight truck technology improvements is performed to estimate effective strategies to meet 2050 greenhouse gas reduction goals. Emission reductions are found to be most-sensitive to fuel economy, rather than the rate of adoption of alternative fuel vehicles. One future scenario, where a new hybrid-electric truck fleet is adopted over 35 years and experiences an aggressive 6% annual fuel economy increase produces emission reductions that are 82% below the projected business-as-usual emissions, thereby meeting long-term climate goals for the freight sector. The environmental impacts and economic costs associated with passenger transportation are the result of complex interactions between people, infrastructure, urban form and underlying activities. When it comes to roadway infrastructure, the ongoing resource commitments (which can be measured as embedded impacts) enables vehicle travel which is a dominant source of air emissions in regional inventories. The relationship between infrastructure and the environmental impacts it enables are not often considered dynamic. Furthermore, the environmental impacts of roadway infrastructure are typically assessed at a fine geospatial and temporal scale (i.e., a short distance of roadway over a short period of time) and there is generally poor knowledge of how the growth of a roadway network over time creates a need for long-term maintenance commitments that create environmental impacts and lock-in vehicle travel. A framework and operational life-cycle assessment (LCA) tool (City Road Network (CiRN) LCA) are developed to assess the extent to which roadway commitments result in ongoing and increasing environmental and economic impacts. Known for its extensive road network and automobile reliance, Los Angeles County is used as a case study to explore the relationship between historic infrastructure deployment decisions and the emergent behavior of vehicle travel. The results show that every kilogram of greenhouse gas emissions (GHG) resulting from construction and maintenance has led to 47 kg of GHG emissions in fuel combustion. Similarly, every public dollar invested into the network has created $126-288 in private user spending. As states and regions grapple with financing the upkeep of aging infrastructure, a solid understanding of the relationship between upfront infrastructure capital costs, long-term maintenance costs, and associated long-term environmental effects are critical. In Los Angeles, the infrastructure that exists was largely deployed by 1987. Since then, maintenance costs are estimated to have exceeded city budgets despite minimal growth in infrastructure. The research demonstrates how infrastructure matures (i.e., its stages of growth towards completion), it becomes locked-in leading to transitions from a capital financing focus to foci on securing rehabilitation and maintenance costs, and the share of environmental impacts changing from being somewhat balanced between embedded infrastructure construction impacts and vehicle use to today where vehicle use creates impacts several orders of magnitude greater than those associated with rehabilitation. As decision-makers increasingly embrace life-cycle assessment (LCA) and target transportation services for regional environmental goals, it becomes imperative that outcomes from changes to complex systems are accurately communicated. California’s greenhouse gas (GHG) reduction policies have created interest in better understanding how public transit systems reduce emissions. An LCA is developed of the Los Angeles Expo line and a competing car trip that includes vehicle, infrastructure, and energy production processes, in addition to propulsion. Energy use, GHG emissions, and the potential for photochemical smog formation and respiratory impacts are assessed. When results are normalized per passenger kilometer traveled (PKT), life-cycle processes increase impacts by up to 83% for energy use and GHG emissions, and up to 690% for smog and respiratory impact potentials. However, the use of a non-time-based PKT normalization obfuscates a decision-maker’s ability to understand whether the deployment of a transit system reduces emissions below a future year policy target (e.g., 80% of 1990 emissions by 2050). The year-by-year marginal effects of the decision to deploy the Expo line are developed including reduction in automobile travel. The time-based marginal results provide clearer explanations for how environmental effects in a region change and the critical life-cycle processes that should be targeted to achieve policy targets. The line can be expected to breakeven on GHG emissions within two decades but its ability meet long-run policy targets is most sensitive to infrastructure construction emissions, mode shifting, a changing electricity mix, and improving automobile fuel economy. Many cities have adopted minimum parking requirements but we have relatively poor information about how parking infrastructure has grown. We estimate how parking has grown in Los Angeles County from 1900 to 2010 and how parking infrastructure evolves, affects urban form, and relates to changes in automobile travel, using building and roadway growth models. We find that since 1975 the ratio of residential offstreet parking spaces to automobiles in Los Angeles County is close to 1.0 and the greatest density of parking spaces is in the urban core while most new growth in parking occurs outside of the core. 14% of incorporated land in Los Angeles County is committed to parking. Uncertainty in our space inventory is attributed to our building growth model, onstreet space length, and the assumption that parking spaces were created as per the requirements. Cities are increasingly developing greenhouse gas (GHG) mitigation plans and reduction targets based on a growing body of knowledge about climate change risks, and changes to passenger transportation are often at the center of these efforts. Yet little information exists for characterizing how quickly or slowly GHG emissions reductions will accrue given changes in urban form around transit, and whether benefits will accrue quickly enough to meet policy year targets (such as reaching 20% of 1990 GHG emissions levels by 2050). Even more complicated is when cities focus on achieving GHG reductions through integrated transportation and land use planning, as changes in emissions can occur across many sectors (such as transportation, building energy use, and electricity generation). Using the Los Angeles Expo line, a framework is developed to assess how financing schemes change the rate of redevelopment and resulting life-cycle GHG emissions from travel and building energy use. The framework leverages an integrated transportation and land use life-cycle assessment model that captures upfront construction of new development near transit and the long-term changes in household energy use for travel and buildings. The results show that for the same amount of development around the Expo line it is possible to either meet (if aggressive redevelopment happens early) or not meet (if redevelopment starts decades out) state GHG goals by 2050. The time-based approach reveals how specific redevelopment schedules are needed for a city to reduce GHG emissions at a rate that meets future targets. Cities need to understand and manage their carbon footprint at the level of streets, buildings and communities, urge Kevin Robert Gurney and colleagues. As California establishes its greenhouse gas emissions cap-and-trade program and considers options for using the new revenues produced under the program, the public and decision-makers have access to tenuous information on the relative cost-effectiveness of passenger transportation investment options. Towards closing this knowledge gap, the cost-effectiveness of greenhouse gas reductions forecast from High-Speed Rail are compared with those estimated from recent urban transportation projects (specifically light rail, bus rapid transit, and a bicycling/pedestrian pathway) in California. Life-cycle greenhouse gas emissions are joined with full cost accounting to better understand the benefits of cap-and-trade investments. Results are largely dependent on the economic cost allocation method used. Considering only public subsidy for capital, none of the projects appear to be a cost-effective means to reduce greenhouse gas emissions (i.e., relative to the current price of greenhouse gas emissions in California’s cap-and-trade program at $11.50 per tonne). However, after adjusting for the change in private costs users incur when switching from the counterfactual mode (automobile or aircraft) to the mode enabled by the project, all investments appear to reduce greenhouse gas emissions at a net savings to the public. Policy and decision-makers who consider only the capital cost of new transportation projects can be expected to incorrectly assess alternatives and indirect benefits (i.e., how travelers adapt to the new mass transit alternative) should be included in decision-making processes. This manuscript supersedes our UCLA Institute of Transportation Studies report Cost-Effectiveness of Reductions in Greenhouse Gas Emissions from California High-Speed Rail and Urban Transportation Projects. At the core of the intensifying debate over LCA modeling of the environmental impacts of biofuels is doubt that biofuels can mitigate climate change. Two types of LCA, attributional and consequential, have been applied to answer this question with competing results. These results turn on system boundary design, including feedstock considerations and assumptions of indirect land-use impacts. The broadening of the system boundary to include large scale land-use change of biofuel production has challenged the viability of biofuels to meet climate change goals. This paper reviews some of the latest literature in biofuels LCA exemplary of this debate, and discusses the distinctions between attributional and consequential models in biofuels. We also present a generalized boundary map that can be used to convey LCA system boundaries clearly and succinctly within both attributional and consequential LCA. As new transportation technologies, travel patterns, and fuels emerge there is opportunity to proactively assess environmental impacts to ensure that reductions occur and unintended tradeoffs are avoided. This article summarizes the goals, scope, and findings of a special issue on Transportation Sustainability. The special issue provides an overview of recent research and policies on autonomous vehicles, electric vehicles, on-demand mobility (including carsharing), intelligent transportation systems, and biofuels, and their expected environmental effects. The reviews show that there are efforts underway to understand the environmental impacts of changes in transportation systems that may lead to technology designs and deployment strategies for environmental sustainability. Building stocks constitute enduring components of urban infrastructure systems, but little research exists on their residence time or changing environmental impacts. Using Los Angeles County, California as a case study, a framework is developed for assessing the changes of building stocks in cities (i.e., a generalizable framework for estimating the construction and deconstruction rates), the residence time of buildings and their materials, and the associated embedded environmental impacts. In Los Angeles, previous land use decisions prove not easily reversible, and past building stock investments may continue to constrain the energy performance of buildings. The average age of the building stock has increased steadily since 1920, and more rapidly after the post-WWII construction surge in the 1950s. Buildings will likely endure for 60 years or longer, making this infrastructure a quasi-permanent investment. The long residence time, combined with the physical limitations on outward growth, suggests that the Los Angeles building stock is unlikely to have substantial spatial expansion in the future. The construction of buildings requires a continuous investment in material, monetary, and energetic resources, resulting in environmental impacts. The long residence time of structures implies a commitment to use and maintain the infrastructure, potentially creating barriers to an urban area’s ability to improve energy efficiency. The immotility of buildings, coupled with future environmental goals, indicates that urban areas will be best positioned by instituting strategies that ensure reductions in life-cycle (construction, use, and demolition) environmental impacts. Climate change may constrain future electricity generation capacity by increasing the incidence of extreme heat and drought events. We estimate reductions to generating capacity in the Western United States based on long-term changes in streamflow, air temperature, water temperature, humidity and air density. We simulate these key parameters over the next half century by joining downscaled climate forcings with a hydrologic modeling system. For vulnerable power stations (46% of existing capacity), climate change may reduce average summertime generating capacity by 1.1-3.0%, with reductions of up to 7.2-8.8% under a ten-year drought. Currently, power providers do not account for climate impacts in their development plans, meaning that they could be overestimating their ability to meet future electricity needs. Metropolitan greenhouse gas and air emissions inventories can better account for the variability in vehicle movement, fleet composition, and infrastructure that exists within and between regions, to develop more accurate information for environmental goals. With emerging access to high quality data, new methods are needed for informing transportation emissions assessment practitioners of the relevant vehicle and infrastructure characteristics that should be prioritized in modeling to improve the accuracy of inventories. The sensitivity of light and heavy-duty vehicle greenhouse gas (GHG) and conventional air pollutant (CAP) emissions to speed, weight, age, and roadway gradient are examined with second-by-second velocity profiles on freeway and arterial roads under free-flow and congestion scenarios. For GHG and CAP upper and lower bounds of each factor show the potential variability which could exist in emissions assessments across U.S. cities. When comparing the effects of changes in these characteristics across U.S. cities against average characteristics of the U.S. fleet and infrastructure, significant variability in emissions is found to exist. GHGs from light-duty vehicles could vary by -2%-11% and CAP by -47%-228% when compared to the baseline. For heavy-duty vehicles the variability is -21%-55% and -32%-174%, respectively. The results show that cities should more aggressively pursue the integration of emerging big data into regional transportation emissions modeling, and the integration of these data is likely to impact GHG and CAP inventories and how aggressively policies should be implemented to meet reductions. A web-tool (available at transportationlca.org/urbanemissions) is developed to aide cities in improving emissions uncertainty. The expected urbanization of the planet in the coming century coupled with aging infrastructure in developed regions, increasing complexity of man-made systems, and pressing climate change impacts have created opportunities for reassessing the role of infrastructure and technologies in cities and how they contribute to greenhouse gas (GHG) emissions. Modern urbanization is predicated on complex, increasingly coupled infrastructure systems, and energy use continues to be largely met from fossil fuels. Until energy infrastructures evolve away from carbon-based fuels, GHG emissions are critically tied to the urbanization process. Further complicating the challenge of decoupling urban growth from GHG emissions are lock-in effects and interdependencies. This paper synthesizes state-of-the-art thinking for transportation, fuels, buildings, water, electricity, and waste systems and finds that GHG emissions assessments tend to view these systems as static and isolated from social and institutional systems. Despite significant understanding of methods and technologies for reducing infrastructure-related GHG emissions, physical, institutional, and cultural constraints continue to work against us, pointing to knowledge gaps that must be addressed. This paper identifies seven challenges to improve our understanding of the role of infrastructure and technologies during urban development and positioning these increasingly complex systems for low-carbon growth in both high-income and low- to middle-income regions. The challenges emphasize how we reimagine the role of infrastructure in the future and how people, institutions, and ecological systems interface with infrastructure. Carbon capture and storage (CCS) for coal power plants reduces carbon dioxide emissions, but also affects other air emissions on and offsite. This research assesses the net societal benefits and costs of Monoethanolamine (MEA) CCS, valuing changes in supply chain emissions of CO2, SO2, NOX, NH3 and particulate matter (PM). Geographical variability and stochastic uncertainty for 407 coal power plant locations in the U.S. are analyzed. The main result is that the net environmental benefits and costs of MEA CCS depend critically on location. For a few favorable sites of power plant and upstream processes, CCS realizes a net benefit (benefit-cost ratio > 1) if the social cost of carbon exceeds $51/ton. For much of the U.S. however, the social cost of carbon must be much higher to realize net benefits from CCS, up to $910/ton. While the social costs of carbon are uncertain, typical estimates are in the range of $33-221/ton, much lower than the threshold value for many potential CCS locations. The method developed has broad applications to assess geographic variability in benefits of energy technologies. Independent lines of research on urbanization, urban areas and the carbon cycle have advanced our understanding of some of the processes through which energy and land uses affect carbon. This synthesis paper synthesizes some of these diverse viewpoints as a first step towards a co-produced, integrated framework for understanding urbanization processes, urban areas and their relationships to the carbon cycle. It suggests the need for approaches that complement and combine the plethora of existing insights into interdisciplinary and transdisciplinary explorations of how different urbanization processes, and socio-ecological and technological components of urban areas, affect the spatial and temporal patterns of carbon emissions differentially over time and within and across cities. It also calls for a more holistic approach to examining the carbon implications of urbanization and urban areas based on such interconnected features of urban development pathways as urban form, economic function, economic growth policies and other governance arrangements. It points to a wide array of uncertainties around urbanization processes, including urban socio-institutional and built-environment systems and their impact on the exchange of carbon flows within and outside urban areas. We must also understand in turn how carbon feedbacks, including carbon impacts and potential impacts of climate change, can affect urbanization processes. Finally, the paper explores options, barriers and limits to transitioning to low-carbon urbanization trajectories, and suggests the development of an end-to-end, co-produced and integrated scientific understanding that can more effectively inform the navigation of transitional journeys and the avoidance of obstacles along the way. Current PV Life Cycle Assessment (LCA) literature rely on past data to quantify the environmental impact of PV technology based on parameters like Energy Return on Investment (EROI), Greenhouse gas (GHG) emissions and Energy Pay Back Time (EPBT). The net environmental benefit of a PV module, influenced by energy intensive manufacturing processes, is allocated at the time of installation. However, the environmental benefits of a PV system do not accrue immediately after installation but accrue over the entire life cycle of the PV module. This inter-temporal trade-off depends on the magnitude of upfront PV manufacturing GHG emissions and the year-on-year GHGs avoided when PV electricity displaces electricity generated from fossil fuels. Moreover, environmental impact assessments of PV systems based on retrospective LCAs precludes the inclusion of four dynamic factors: the choice of PV technology, varying rates of technology improvements for different PV technologies, electricity mixes of the deployment location and location where PV systems are manufactured. By not incorporating inter-temporal trade-off analysis and dynamic factors that influence net environmental impacts of PV deployments, PV capacity additions can inadvertently become counter-productive by increasing net GHG emissions over the short term. Also, policy makers forgo an opportunity to optimize PV capacity additions for minimal short term GHG impacts. This project designs and implements an optimization model to minimize the short term CRF impacts of PV system deployments by incorporating the inter-temporal trade-offs involved. When integrated with PV LCAs this model can help policy makers to minimize short term impacts along with fulfilling long term GHG reduction goals. The results show that the optimal PV deployment strategy for the three states - California, Wyoming and Arizona - varies depending on the electricity mixes of these states. The optimal PV deployment strategy is sensitive to the state of technology and the choice of PV technology to fulfill the targets. Also, adopting an sub-optimal PV deployment strategy to meet California's PV policy targets by importing Silicon PV modules from China will increase the CO2 emissions over the short term. The environmental and economic assessment of neighborhood-scale transit-oriented urban form changes should include initial construction impacts through long-term use to fully understand the benefits and costs of smart growth policies. The long-term impacts of moving people closer to transit require the coupling of behavioral forecasting with environmental assessment. Using new light rail and bus rapid transit in Los Angeles, California as a case study, a life-cycle environmental and economic assessment is developed to assess the potential range of impacts resulting from mixed-use infill development. An integrated transportation and land use life-cycle assessment framework is developed to estimate energy consumption, air emissions, and economic (public, developer, and user) costs. Residential and commercial buildings, automobile travel, and transit operation changes are included and a 60-year forecast is developed that compares transit-oriented growth against growth in areas with only predominantly local bus service. The results show that commercial developments create the greatest potential for impact reductions followed by residential commute shifts to transit, both of which may be effected by access to high-capacity transit, reduced parking requirements, and developer incentives. Greenhouse gas emission reductions between 3-540 Gg CO2-equivalents per year can be achieved for as low as $10.50 per tonne. Potential respiratory impacts (PM10-equivalents) and smog formation can be reduced by 26-36%. The shift from business-as-usual growth to transit-oriented development may increase development costs by as much as $610 million, but can decrease user costs by $4,000 per household per year over the building lifetime. This synthesis article presents an overview of an urban metabolism approach using mixed methods and multiple sources of data to Los Angeles. We examine electric energy use in buildings, GHG emissions from electricity, calculate embedded infrastructure life cycle inputs, water use and solid waste streams in an attempt to better understand the urban flows and sinks in the Los Angeles region (City and County).,. This quantification is being conducted to assist policy-makers better target energy conservation and efficiency programs, pinpoint best locations for distributed solar generation and develop policies for greater sustainability. It provides a framework to which many more UM flows can be added to create greater understanding of the County’s resource dependencies. Going forward, together with policy analysis, UM can help untangle the complex intertwined resource dependencies that cities must address as they attempt to become more sustainable. Water and energy resources are intrinsically linked, yet they are managed separately-even in the water-scarce American Southwest. This study develops a spatially explicit model of water-energy interdependencies in Arizona and assesses the potential for cobeneficial conservation programs. The interdependent benefits of investments in eight conservation strategies are assessed within the context of legislated renewable energy portfolio and energy efficiency standards. The cobenefits of conservation are found to be significant. Water conservation policies have the potential to reduce statewide electricity demand by 0.82–3.1%, satisfying 4.1–16% of the state’s mandated energy-efficiency standard. Adoption of energy-efficiency measures and renewable generation portfolios can reduce nonagricultural water demand by 1.9–15%. These conservation cobenefits are typically not included in conservation plans or benefit-cost analyses. Many cobenefits offer negative costs of saved water and energy, indicating that these measures provide water and energy savings at no net cost. Because ranges of costs and savings for water-energy conservation measures are somewhat uncertain, future studies should investigate the cobenefits of individual conservation strategies in detail. Although this study focuses on Arizona, the analysis can be extended elsewhere as renewable portfolio and energy efficiency standards become more common nationally and internationally. The comprehensiveness of environmental assessments of future long-distance travel that include high-speed rail (HSR) are constrained by several methodological, institutional, and knowledge gaps that must and can be addressed. These gaps preclude a robust understanding of the changes in environmental, human health, resource, and climate change impacts that result from the implementation of HSR in the United States. The gaps are also inimical to an understanding of how HSR can be positioned for 21st century sustainability goals. Through a synthesis of environmental studies, the gaps are grouped into five overarching grand challenges. They include a spatial incompatibility between HSR and other long-distance modes that is often ignored, an environmental review process that obviates modal alternatives, siloed interest in particular environmental impacts, a dearth of data on future vehicle and energy sources, and a poor understanding of secondary impacts, particularly in land use. Recommendations are developed for institutional investment in multimodal research, knowledge and method building around several topics. Ultimately, the environmental assessment of HSR should be integrated in assessments that seek to understand the complementary and competitive configurations of transportation services, as well as future accessibility. Purpose: Comparative Life Cycle Assessments (LCAs) today lack robust methods of interpretation that help decision makers understand and identify tradeoffs in the selection process. Truncating the analysis at characterization is misleading and existing practices for normalization and weighting may unwittingly oversimplify important aspects of a comparison. This paper introduces a novel approach based on a multi-criteria decision analytic method known as Stochastic Multi-attribute Analysis for Life Cycle Impact Assessment (SMAA-LCIA) that uses internal normalization by means of outranking and exploration of feasible weight spaces. Methods: To contrast different valuation methods, this study performs a comparative LCA of liquid and powder laundry detergents using three approaches to normalization and weighting: (1) characterization with internal normalization and equal weighting, (2) Typical valuation consisting of external normalization and weights, and (3) SMAA-LCIA using outranking normalization and stochastic weighting. Characterized results are often represented by LCA software with respect to their relative impacts normalized to 100%. Typical valuation approaches rely on normalization references, single value weights and utilizes discrete numbers throughout the calculation process to generate single scores. Alternatively, SMAA-LCIA is capable of exploring high uncertainty in the input parameters, normalizes internally by pair-wise comparisons (outranking) and allows for the stochastic exploration of weights. SMAA-LCIA yields probabilistic, rather than discrete comparisons that reflect uncertainty in the relative performance of alternatives. Results and Discussion: All methods favored liquid over powder detergent. However, each method results in different conclusions regarding the environmental tradeoffs. Graphical outputs at characterization of comparative assessments portray results in a way that is insensitive to magnitude and thus can be easily misinterpreted. Typical valuation generates results that are oversimplified and unintentionally biased towards a few impact categories due to the use of normalization references. Alternatively, SMAA-LCIA avoids the bias introduced by external normalization references, includes uncertainty in the performance of alternatives and weights, and focuses the analysis on identifying the mutual differences most important to the eventual rank ordering. Conclusions and recommendations: SMAA is particularly appropriate for comparative LCAs because it evaluates mutual differences and weights stochastically. This allows for tradeoff identification and the ability to sample multiple perspectives simultaneously. SMAA-LCIA is a robust tool that can improve understanding of comparative LCA by decision- or policy-makers. The architecture-engineering-construction (AEC) industry faces increasing demands on its projects while budgets appear to be shrinking. Building owners and operators seem to want their buildings to do more for less cost. Although this may seem counterintuitive, it aligns nicely with a sustainable-architecture approach of less is more. Moreover, in a shift from exclusively considering first costs for a project, the AEC industry seems to be moving in the direction of life-cycle cost considerations, furthering the opportunity for a more sustainable built environment. Often sustainable is synonymous with achieving certification [e.g., Leadership in Energy and Environmental Design (LEED) and Infrastructure Voluntary Evaluation Sustainability Tool (INVEST) certification]. Whereas the authors acknowledge that certification can improve particular aspects of sustainability, it is necessary to take a broader approach and consider economic, environmental, and social dimensions of sustainability. In this paper, the authors explore each of these dimensions and present examples of how the AEC industry can measure, balance, and monetize them. The environmental outcomes of urban form changes should couple life-cycle and behavioral assessment methods to better understand urban sustainability policy outcomes. Using Phoenix, Arizona light rail as a case study, an integrated transportation and land use life-cycle assessment (ITLU-LCA) framework is developed to assess the changes to energy consumption and air emissions from transit-oriented neighborhood designs. Residential travel, commercial travel and building energy use are included and the framework integrates household behavior change assessment to explore the environmental and economic outcomes of policies that affect infrastructure. The results show that upfront environmental and economic investments are needed (through more energy-intense building materials for high-density structures) to produce long run benefits in reduced building energy use and automobile travel. The annualized life-cycle benefits of transit-oriented developments in Phoenix can range from 1.7-230 Gg CO2e depending on the aggressiveness of residential density. Midpoint impact stressors for respiratory effects and photochemical smog formation are also assessed and can be reduced by 1.2-170 Mg PM10e and 41-5,200 Mg O3e annually. These benefits will come at an additional construction cost of up to $410 million resulting in a cost of avoided CO2e at $16-29 and household cost savings. There is significant interest in reducing urban growth impacts yet little information exists to comprehensively estimate the energy and air quality tradeoffs. An integrated transportation and land-use life-cycle assessment framework is developed to quantify the long-term impacts from residential infill, using the Phoenix light rail system as a case study. The results show that (1) significant reductions in life-cycle energy use, greenhouse gas emissions, respiratory, and smog impacts are possible; (2) building construction, vehicle manufacturing, and energy feedstock effects are significant; and (3) marginal benefits from reduced automobile use and potential household behavior changes exceed marginal costs from new rail service. Public transportation systems are often part of strategies to reduce urban environmental impacts from passenger transportation, yet comprehensive energy and environmental life-cycle measures, including upfront infrastructure effects and indirect and supply chain processes, are rarely considered. Using the new bus rapid transit and light rail lines in Los Angeles, near-term and long-term life-cycle impact assessments are developed, including consideration of reduced automobile travel. Energy consumption and emissions of greenhouse gases and criteria pollutants are assessed, as well the potential for smog and respiratory impacts. Results show that life-cycle infrastructure, vehicle, and energy production components significantly increase the footprint of each mode (by 48–100% for energy and greenhouse gases, and up to 6200% for environmental impacts), and emerging technologies and renewable electricity standards will significantly reduce impacts. Life-cycle results are identified as either local (in Los Angeles) or remote, and show how the decision to build and operate a transit system in a city produces environmental impacts far outside of geopolitical boundaries. Ensuring shifts of between 20–30% of transit riders from automobiles will result in passenger transportation greenhouse gas reductions for the city, and the larger the shift, the quicker the payback, which should be considered for time-specific environmental goals. This paper examines the potential for incorporation of life-cycle assessment (LCA) into transportation planning and policy, by drawing upon analysis and precedent-setting policy structures from California. The paper first summarizes a case study of a transportation-system LCA for Los Angeles County, and briefly describes the existing structure of transportation policy, emissions regulation, and the existing partial precedents for the incorporation of LCA and decision criteria into transportation policy and planning. Using standard criteria for good policy, the paper then identifies and describes six possible policy mechanisms for incorporating LCA into the transportation planning process. These include legislative requirements for project planning, a preferential finance program, a planning standard for Regional Transportation Plans, an environmental impact assessment criterion, a criterion for selection of Transportation Control Measures under the federal Clean Air Act, and a cap-and-trade system for transportation-related life-cycle emissions. The advantages and disadvantages of each approach are identified, with an ultimate recommendation to refine and pursue a blended approach focusing on the regional planning scale. The current institutional process for project-level environmental review, the government-required Environmental Impact Statement (EIS), requires assessment of the proposed project, the no-build alternative, and alternatives to the proposed project. Despite growing academic research to compare the environmental impacts of air and high-speed rail (HSR) infrastructure, there are few instances of multimodal alternatives analysis in airport and HSR EIS documents. In this paper, examples of EISs for air and HSR capacity-enhancement projects are chronicled to identify key challenges to completing modal alternative analysis in the EIS: the spatial heterogeneity of the physical infrastructure for air and HSR, the framing of EIS purpose and need statements, and the complicated interpretations of environmental impact significance thresholds. The paper concludes by proposing strategies to incentivize modal alternative assessments and highlight methods that are needed to perform high-quality comparative analysis to inform decision makers, whether in the context of the EIS or in upstream planning processes. Urban sustainability assessment should integrate urban metabolism and life-cycle impact assessment to develop an integrated multi-scale framework for evaluating resource depletion and damages to human health and environmental quality. A streamlined framework can be developed by employing emerging neighborhood-scale data, improving resource depletion and damage to human health and environmental quality characterizations, including socio-demographic characteristics, and integrating methods for making decisions with uncertainty. Foundational elements and an analytical path exist to integrate urban metabolism and life-cycle impact assessment in a streamlined manner. Urban sustainability practitioners must eventually develop new methods for integrating social, institutional, and cultural forces instead of focusing on physical systems. Government subsidies that favor all-electric travel might seem to be the obvious strategy to reduce vehicle air emissions and fossil fuel use, but short range plug-in hybrids (with long range gasoline backup) offer more benefits at lower cost. Sustainable mobility policy for long-distance transportation services should consider emerging automobiles and aircraft as well as infrastructure and supply chain life-cycle effects in the assessment of new high-speed rail systems. Using the California corridor, future automobiles, high-speed rail and aircraft long-distance travel are evaluated, considering emerging fuel-efficient vehicles, new train designs and the possibility that the region will meet renewable electricity goals. An attributional per passenger-kilometer-traveled life-cycle inventory is first developed including vehicle, infrastructure and energy production components. A consequential life-cycle impact assessment is then established to evaluate existing infrastructure expansion against the construction of a new high-speed rail system. The results show that when using the life-cycle assessment framework, greenhouse gas footprints increase significantly and human health and environmental damage potentials may be dominated by indirect and supply chain components. The environmental payback is most sensitive to the number of automobile trips shifted to high-speed rail, and for greenhouse gases is likely to occur in 20–30 years. A high-speed rail system that is deployed with state-of-the-art trains, electricity that has met renewable goals, and in a configuration that endorses high ridership will provide significant environmental benefits over existing modes. Opportunities exist for reducing the long-distance transportation footprint by incentivizing large automobile trip shifts, meeting clean electricity goals and reducing material production effects. Automobile air emissions are a well-recognized problem and have been subject to considerable regulation. An increasing concern for greenhouse gas emissions draws additional considerations to the externalities of personal vehicle travel. This paper provides estimates of the costs for automobile air emissions for 86 U.S. metropolitan areas based on county-specific external air emission morbidity, mortality, and environmental costs. Total air emission costs in the urban areas are estimated to be 145 million/day, with Los Angeles, California, and New York City (each23 million per day) having the highest totals. These external costs average 0.64 per day per person and0.03 per vehicle mile traveled. Total air emission cost solely due to traffic congestion for the same 86 U.S. metropolitan areas was also estimated to be $24 million per day. These estimates are compared with others in the literature and are found to be generally consistent. These external automobile air emission costs are important for social benefit and cost assessment of transportation measures to reduce vehicle use. However, this study does not include any abatement costs associated with automobile emission controls or government investments to reduce emissions such as traffic signal setting. We assess the economic value of life-cycle air emissions and oil consumption from conventional vehicles, hybrid-electric vehicles (HEVs), plug-in hybrid-electric vehicles (PHEVs), and battery electric vehicles in the US. We find that plug-in vehicles may reduce or increase externality costs relative to grid-independent HEVs, depending largely on greenhouse gas and SO2 emissions produced during vehicle charging and battery manufacturing. However, even if future marginal damages from emissions of battery and electricity production drop dramatically, the damage reduction potential of plug-in vehicles remains small compared to ownership cost. As such, to offer a socially efficient approach to emissions and oil consumption reduction, lifetime cost of plug-in vehicles must be competitive with HEVs. Current subsidies intended to encourage sales of plug-in vehicles with large capacity battery packs exceed our externality estimates considerably, and taxes that optimally correct for externality damages would not close the gap in ownership cost. In contrast, HEVs and PHEVs with small battery packs reduce externality damages at low (or no) additional cost over their lifetime. Although large battery packs allow vehicles to travel longer distances using electricity instead of gasoline, large packs are more expensive, heavier, and more emissions intensive to produce, with lower utilization factors, greater charging infrastructure requirements, and life-cycle implications that are more sensitive to uncertain, time-sensitive, and location-specific factors. To reduce air emission and oil dependency impacts from passenger vehicles, strategies to promote adoption of HEVs and PHEVs with small battery packs offer more social benefits per dollar spent. The US parking infrastructure is vast and little is known about its scale and environmental impacts. The few parking space inventories that exist are typically regionalized and no known environmental assessment has been performed to determine the energy and emissions from providing this infrastructure. A better understanding of the scale of US parking is necessary to properly value the total costs of automobile travel. Energy and emissions from constructing and maintaining the parking infrastructure should be considered when assessing the total human health and environmental impacts of vehicle travel. We develop five parking space inventory scenarios and from these estimate the range of infrastructure provided in the US to be between 105 million and 2 billion spaces. Using these estimates, a life-cycle environmental inventory is performed to capture the energy consumption and emissions of greenhouse gases, CO, SO2, NOX, VOC (volatile organic compounds), and PM10 (PM: particulate matter) from raw material extraction, transport, asphalt and concrete production, and placement (including direct, indirect, and supply chain processes) of space construction and maintenance. The environmental assessment is then evaluated within the life-cycle performance of sedans, SUVs (sports utility vehicles), and pickups. Depending on the scenario and vehicle type, the inclusion of parking within the overall life-cycle inventory increases energy consumption from 3.1 to 4.8 MJ by 0.1–0.3 MJ and greenhouse gas emissions from 230 to 380 g CO2e by 6–23 g CO2e per passenger kilometer traveled. Life-cycle automobile SO2 and PM10 emissions show some of the largest increases, by as much as 24% and 89% from the baseline inventory. The environmental consequences of providing the parking spaces are discussed as well as the uncertainty in allocating paved area between parking and roadways. The state of California is expected to have significant population growth in the next half-century resulting in additional passenger transportation demand. Planning for a high-speed rail system connecting San Diego, Los Angeles, San Francisco, and Sacramento as well as many population centers between is now underway. The considerable investment in California high-speed rail has been debated for some time and now includes the energy and environmental tradeoffs. The per-trip energy consumption, greenhouse gas emissions, and other emissions are often compared against the alternatives (automobiles, heavy rail, and aircraft), but typically only considering vehicle operation. An environmental life-cycle assessment of the four modes was created to compare both direct effects of vehicle operation and indirect effects from vehicle, infrastructure, and fuel components. Energy consumption, greenhouse gas emissions, and SO2, CO, NOX, VOC, and PM10 emissions were evaluated. The energy and emission intensities of each mode were normalized per passenger kilometer traveled by using high and low occupancies to illustrate the range in modal environmental performance at potential ridership levels. While high-speed rail has the potential to be the lowest energy consumer and greenhouse gas emitter, appropriate planning and continued investment would be needed to ensure sustained high occupancy. The time to environmental payback is discussed highlighting the ridership conditions where high-speed rail will or will not produce fewer environmental burdens than existing modes. Furthermore, environmental tradeoffs may occur. High-speed rail may lower energy consumption and greenhouse gas emissions per trip but can create more SO2 emissions (given the current electricity mix) leading to environmental acidification and human health issues. The significance of life-cycle inventorying is discussed as well as the potential of increasing occupancy on mass transit modes. A comparative life-cycle energy and emissions (greenhouse gas, CO, NOX, SO2, PM10, and VOCs) inventory is created for three U.S. metropolitan regions (San Francisco, Chicago, and New York City). The inventory captures both vehicle operation (direct fuel or electricity consumption) and non-operation components (e.g., vehicle manufacturing, roadway maintenance, infrastructure operation, and material production among others). While urban transportation inventories have been continually improved, little information exists identifying the particular characteristics of metropolitan passenger transportation and why one region may differ from the next. Using travel surveys and recently developed transportation life-cycle inventories, metropolitan inventories are constructed and compared. Automobiles dominate total regional performance accounting for 86–96% of energy consumption and emissions. Comparing system-wide averages, New York City shows the lowest end-use energy and greenhouse gas footprint compared to San Francisco and Chicago and is influenced by the larger share of transit ridership. While automobile fuel combustion is a large component of emissions, diesel rail, electric rail, and ferry service can also have strong contributions. Additionally, the inclusion of life-cycle processes necessary for any transportation mode results in significant increases (as large as 20 times that of vehicle operation) for the region. In particular, emissions of CO2 from cement production used in concrete throughout infrastructure, SO2 from electricity generation in non-operational components (vehicle manufacturing, electricity for infrastructure materials, and fuel refining), PM10 in fugitive dust releases in roadway construction, and VOCs from asphalt result in significant additional inventory. Private and public transportation are disaggregated as well as off-peak and peak travel times. Furthermore, emissions are joined with healthcare and greenhouse gas monetized externalities to evaluate the societal costs of passenger transportation in each region. Results are validated against existing studies. The dominating contribution of automobile end-use energy consumption and emissions is discussed and strategies for improving regional performance given private travel's disproportionate share are identified. To appropriately mitigate environmental impacts from transportation, it is necessary for decision makers to consider the life-cycle energy use and emissions. Most current decision-making relies on analysis at the tailpipe, ignoring vehicle production, infrastructure provision, and fuel production required for support. We present results of a comprehensive life-cycle energy, greenhouse gas emissions, and selected criteria air pollutant emissions inventory for automobiles, buses, trains, and airplanes in the US, including vehicles, infrastructure, fuel production, and supply chains. We find that total life-cycle energy inputs and greenhouse gas emissions contribute an additional 63% for onroad, 155% for rail, and 31% for air systems over vehicle tailpipe operation. Inventorying criteria air pollutants shows that vehicle non-operational components often dominate total emissions. Life-cycle criteria air pollutant emissions are between 1.1 and 800 times larger than vehicle operation. Ranges in passenger occupancy can easily change the relative performance of modes. As cellulosic ethanol technologies advance, states could use the organic content of municipal solid waste as a transportation fuel feedstock and simultaneously reduce externalities associated with waste disposal. We examine the major processes required to support a lignocellulosic (employing enzymatic hydrolysis) municipal solid waste-to-ethanol infrastructure computing cost, energy, and greenhouse gas effects for California. The infrastructure is compared against the Business As Usual case where the state continues to import most of its ethanol needs from the Midwest. Assuming between 60% and 90% practical yields for ethanol production, California could produce between 1.0 and 1.5 billion gallons per year of ethanol from 55% of the 40 million metric tonnes of waste currently sent to landfills annually. The classification of organic wastes and ethanol plant operation represent almost the entire system cost (between $3.5 and $4.5 billion annually) while distribution has negligible cost effects and savings from avoided landfilling is small. Fossil energy consumption from Business As Usual decreases between 82 and 130 PJ largely due to foregone gasoline consumption. The net greenhouse gas impacts are ultimately dependent on how well landfills control their emissions of decomposing organics. Based on the current landfill mix in the state, the cellulosic infrastructure would experience a slight gain in greenhouse gas emissions. However, net emissions can rise if organics diversion releases carbon that would otherwise be flared and sequestered. Emissions would be avoided if landfills are not capable of effectively controlling emissions during periods of active waste decay. There is currently considerable uncertainty surrounding the recovery efficiency of landfill emissions controls. In either case, burying lignin appears to be better than burning lignin because of its decay properties, energy and carbon content. We estimate the breakeven price for lignocellulosic ethanol between $2.90 and $3.47/gal (μ = $3.13/gal). Curbside recycling programs can be more cost-effective than landfilling and lead to environmental benefits from the recovery of materials. Significant reductions in energy and emissions are derived from the decrease of energy-intensive production with virgin materials. In many cities, competing priorities can lead to limited consideration given to system optimal collection and processing strategies that can drive down costs and increase revenue while simultaneously reducing system energy consumption and greenhouse gas (GHG) emissions. We evaluate three alterations to a hypothetical California city’s recycling network to discern the conditions under which the changes constitute system improvements to cost, energy, and emissions. The system initially operates with a collection zoning scheme that does not mitigate the impact of seasonal variations in consumer tonnage. In addition, two collection organizations operate redundantly, collecting recyclables from different customer types on the same street network. Finally, the system is dual stream, meaning recyclables are separated at the curbside. In some scenarios, this practice can limit the consumer participation rate leading to lower collection quantities. First, we evaluate a “business as usual” (BAU) scenario and find that the system operates at a $1.7 M/yr loss but still avoids a net 18.7 GJ and 1700 kg of greenhouse gas equivalent (GGE) per ton of material recycled. Second, we apply an alternative zoning scheme for collection that creates a uniform daily pickup demand throughout the year reducing costs by $0.2 M/yr, energy by 30 MJ/ton, and GHG emissions by 2 kg GGE/ton. Next, the two collection organizations are consolidated into a single entity further reducing vehicle fleet size and weekly vehicle miles traveled resulting in savings from BAU of $0.3 M/yr, 100 MJ/ton, and 8 kg GGE/ton. Lastly, we evaluate a switch to a single-stream system (where recyclables are commingled). We show that single-stream recycling can increase the total amount of material collected to a degree that lowers overall net cost ($0.2 M/yr) and leads to further reductions in energy use (210 MJ/ton) and emissions (16 kg GGE/ton). However, there can be circumstances in which maintaining a consolidated dual stream system is preferred over single stream. A sensitivity analysis is also performed and a discussion is presented addressing the applicability of this city network to others. Construction mismanagement results in multiple problems that can cascade throughout the work force chain, affecting the schedule and leading to damages to multiple parties. Although the problem may start with a single subcontractor, it can result in all contractors feeling some impact to their work. In this paper, a case study is presented of a project with seven different mismanagement scenarios. A description of each scenario is provided as well as a quantification of the damages that result from the problem. A construction claims section is also included that addresses many of the issues that could result from a claim for each of the seven scenarios. A discussion is presented outlining possible preventative steps to minimize the damages from the problems presented.